Eddy Dumire, a Dale City Volunteer Fire Department captain, took home the $10,000 grand prize in the finals for America’s Best Firehouse Chili in New York City on Tuesday. 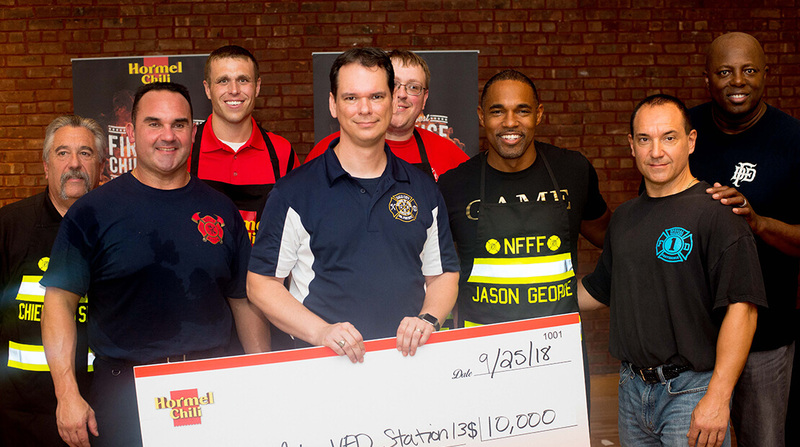 In addition to the contest prizes, Hormel Chili donated $20,000 to The National Fallen Firefighters Foundation to support their efforts in honoring fallen firefighters and their families. Dumire plans to use the prize money to fund the Dale City VFD Foundation — specifically to help pay for their annual holiday season initiative, according to a news release. The firefighters have Santa ride around in a fire truck to visit terminally ill children and their families to give them gifts and sing Christmas carols in hopes to brighten their spirits around the holidays. The name of Eddy’s winning recipe, “Smoke Showin,” comes from a firefighting term which means that smoke can be seen upon arrival. In this context, Eddy named it to describe the smoky flavor from the brisket, smoked corn, bacon and the chipotle peppers (which are smoked jalapenos).